Things have been a little quiet on the blog front recently as I have been busy crafting away in secret making a special gift for my lovely husband to surprise him with on our anniversary this weekend. As we were celebrating our second year of marriage I decided to put my stitching skills to good use and create some framed textile pieces, as the tradition for the second anniversary is to give cotton gifts. 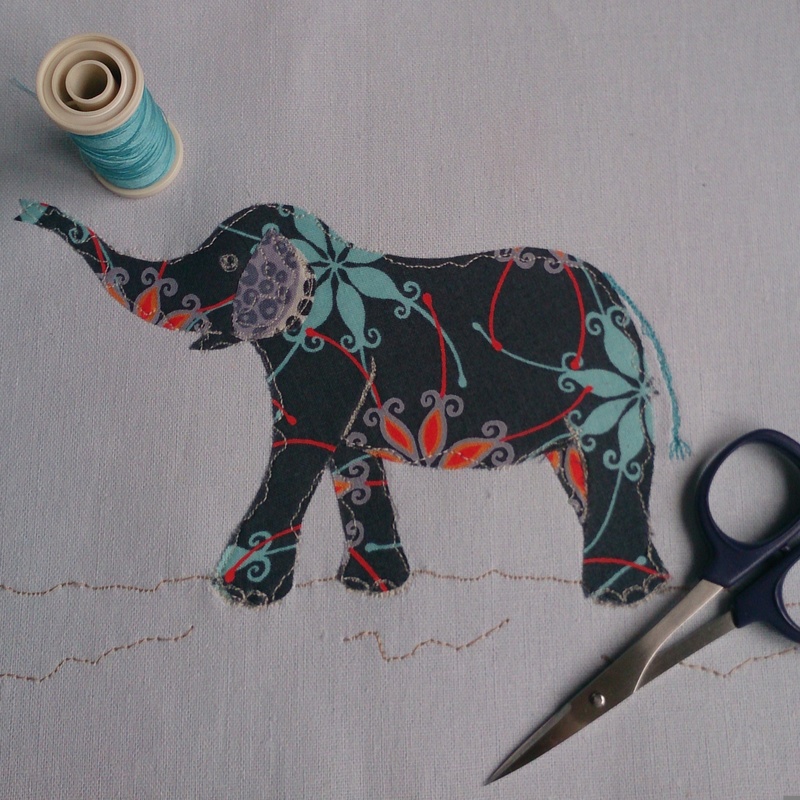 I have been mulling the designs over for these makes since I first learnt to use my sewing machine for freehand machine embroidery earlier in the year and decided I had to create something for this special occasion. I knew that I wanted them to represent special memories from our wedding day and honeymoon and spent a good while happily scanning through our wedding album and honeymoon pictures sketching a few ideas. 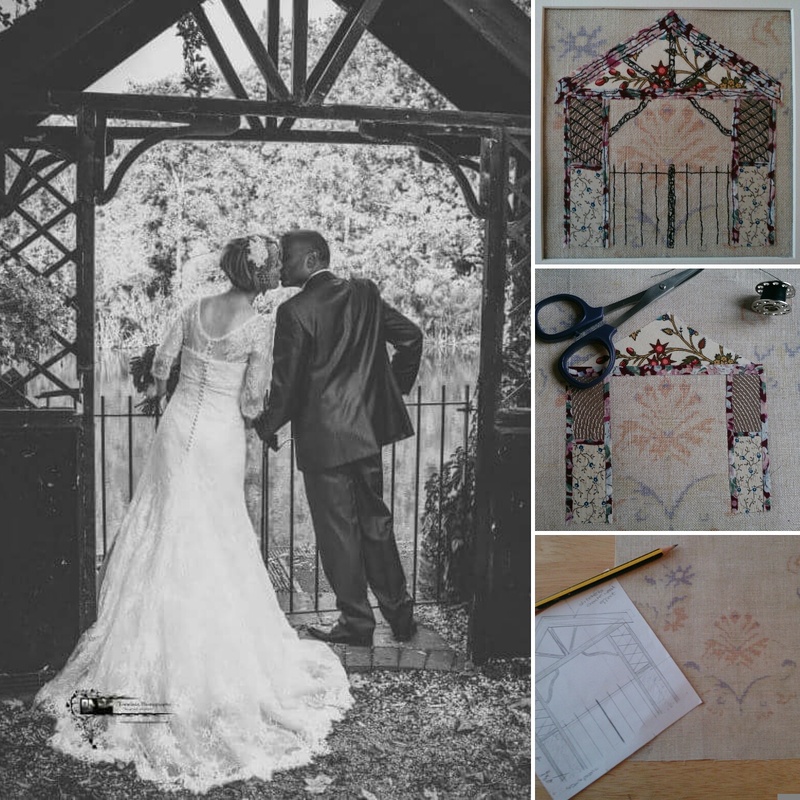 I finally settled on three images as the basis for my makes – our wedding cake (which was actually made from cheese), an elephant (from our visit to a sanctuary whilst on our honeymoon) and finally a special place from our beautiful venue ‘The Barns Hotel’ in Bedford. Over the last couple of weeks I have beavered away creating these makes in secret whilst Mr B was at work, snatching a few hours here and there. Delving into my now bulging fabric stash, with its lovely variety of textures and colours, made me so happy. I was able to find the right selection of pieces to use which reflected the autumnal tones we had for our wedding theme as well as the tropical colours of Bali, our honeymoon destination. Selecting these took almost as much time as creating the final pieces themselves as I had a very clear idea of what I was looking for and wanted all three pieces to complement each other as well. I was really pleased with how all three pieces turned out but my favourite has to be the riverside gate. This is a special place from our wedding day as it brings back memories of the precious time after we got married when Mr B and I had a moment to ourselves and were able to enjoy each other’s company and take in the beauty of our location by river, it really was blissful. We celebrated our anniversary last Sunday and Mr B really loved his gifts, so much so that they were mounted on the wall almost as soon as they were out of the wrapping. 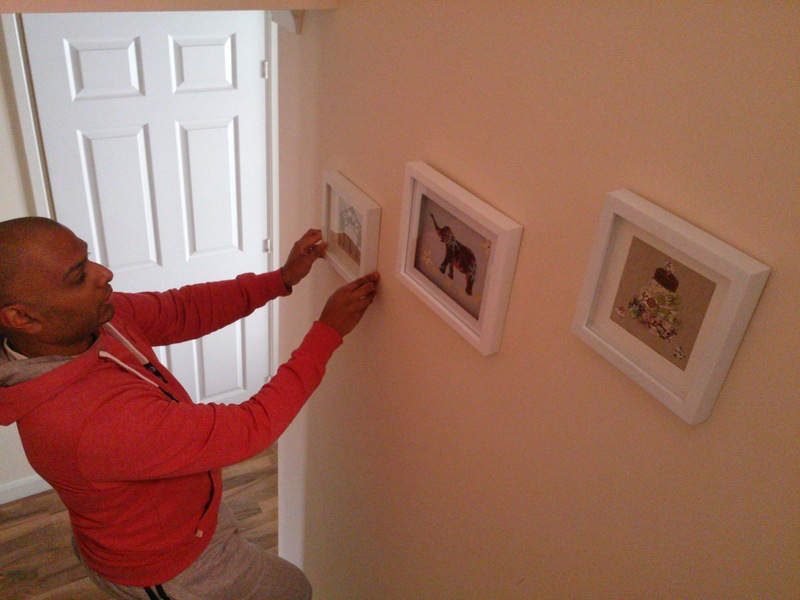 They have found their home on the wall by our stairs which is perfect as we can enjoy them daily and it has certainly been putting a smile on my face to see them and remember the memories from these special moments in our life. 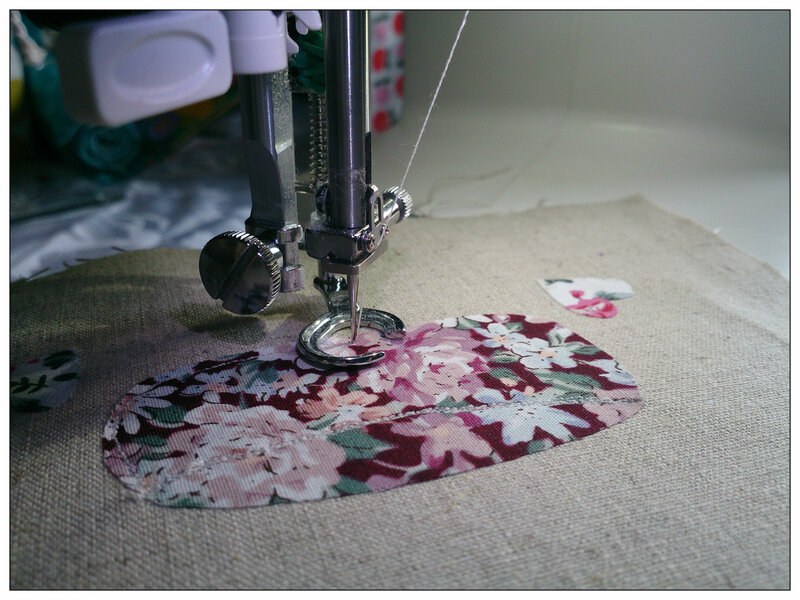 It is probably not surprising that these are not my first wedding related makes, some of my first sewing machine projects were made in preparation for our special day. I created a set of superhero masks and capes for Mr B’s stag do as well as making our wedding ring pillow which included using some of the beautiful lace from my wedding dress. 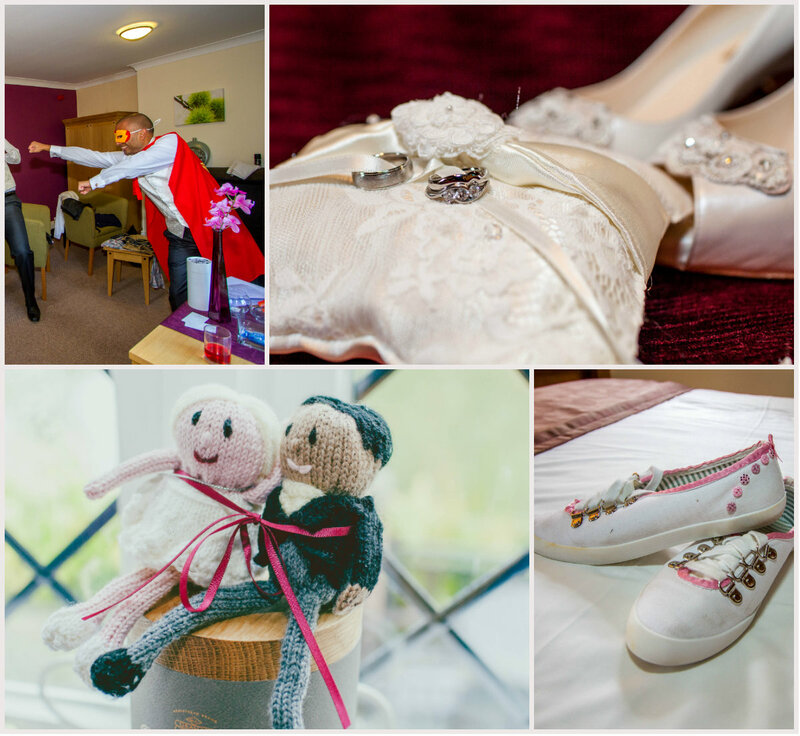 I also decorated some pumps for our surprise lindy hop/charleston first dance and created a special knitted version of Mr B and I which I gave him on the morning of our wedding day. As with the anniversary makes, these all hold special memories and are now treasured keepsakes. 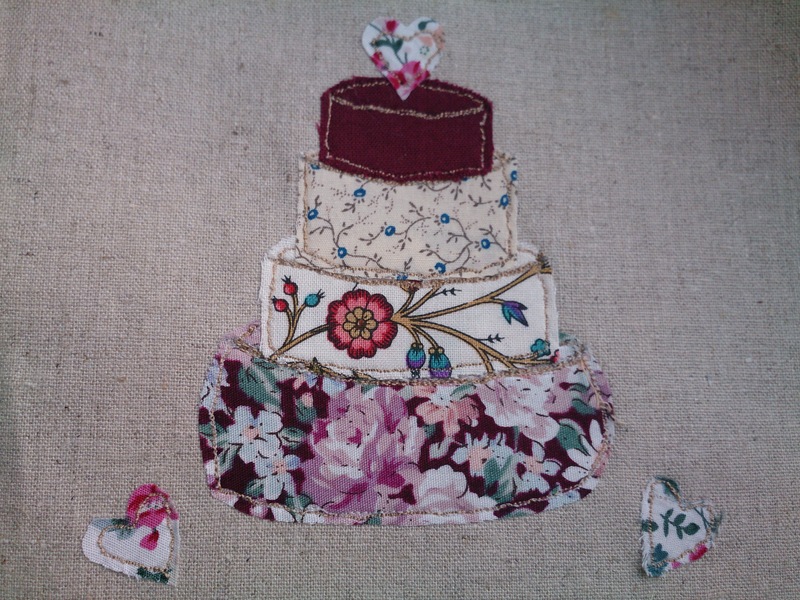 Luckily, it’s not the end of my wedding related makes either, as my little sister is getting married next spring and I have already offered my stitching services to her. 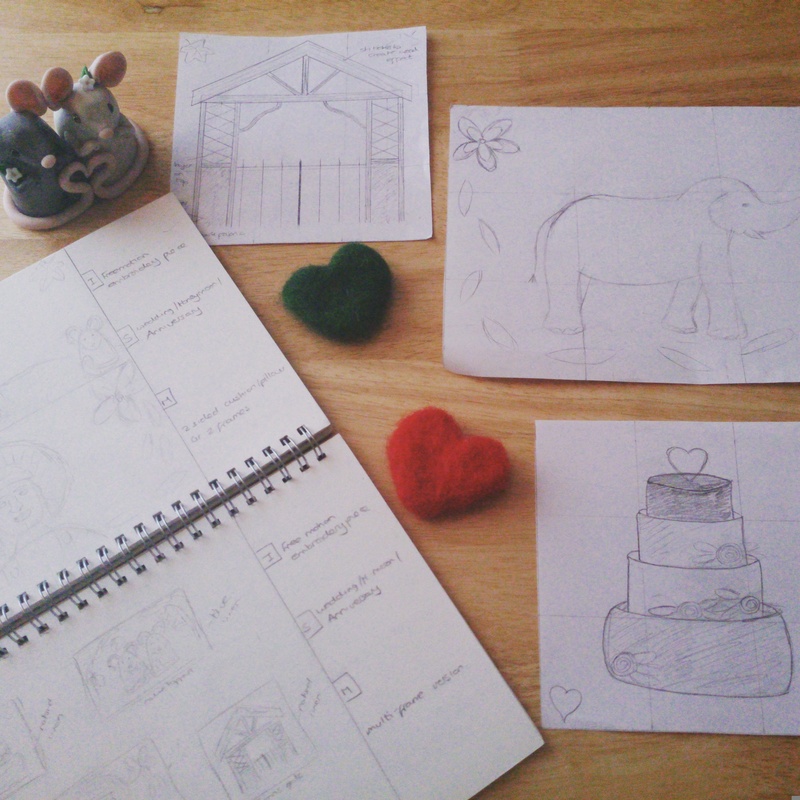 I also cannot wait to share with you our wedding scrapbook which me and my super talented artistic sister have been working on together over the last two years on the few days when we have both had days off and neither of us has plans (much harder than you’d imagine!) but I’ll save all that for another time. As you can probably tell talking about weddings is just about my favourite thing to do and I’d love to hear about any special wedding mementoes you have, especially if they were handmade by yourself or gifted to you by a crafty friend or relative. These are lovely, the gate one in particular. I love that he put them up immediately. My husband and I have been married 11 years and we got married in a cinema. We made a spoof documentary about us which we showed on the big screen. It took ages to write,film and edit as not only did we have full time jobs but we lived apart in different cities! But so worth it. Wow, did you have classes to learn it? So cool. Wow! You are very talented. What great ideas for your gifts. I agree! So much meaning behind it makes it all the more special.